Mental Health and More...: Be Your Child's Therapist! A New Concept, Perhaps? 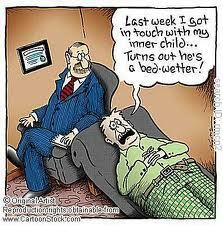 Be Your Child's Therapist! A New Concept, Perhaps? How often has your own child struggled with something and you didn't know what to do? Kids come home from school with performance problems, bully problems, teacher problems, and even friend problems. And wouldn't you know that being a parent doesn't come with a manual! How often do we become confused or feel hopeless/scared that we can't help our child? Even as a therapist, I have experienced the same. When my precious little 6-year-old girl lost a dear friend, I did not know what to do. I was too close. I could not remain objective as I would with a small child in my office. I had to seek consultation from another therapist. He pointed me in the right direction, I followed his suggestions and it made a huge difference! I was and still am grateful for that consultation and that therapist's wisdom. He had the right tools for the problem. Many times, that is what we need--a tool and the wherewithall to use it to fix the problem. Such a tool is getting ready for production! A psychotherapist in Salt Lake City is producing a therapeutic toy set and manual for parents to use when their children are struggling with emotional, mental, and behavioral problems. It will be released, soon and be available for purchase. Are their issues that your child is having? What are they? I want to give feedback to the psychotherapist regarding the manual and the issues it addresses. Are their specific problems you would like to see in the manual? What are they? Respond and the information will be passed-on!